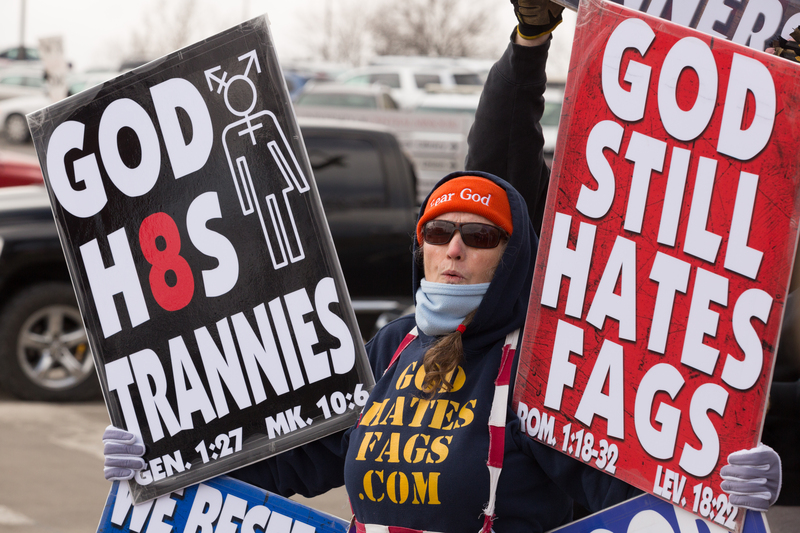 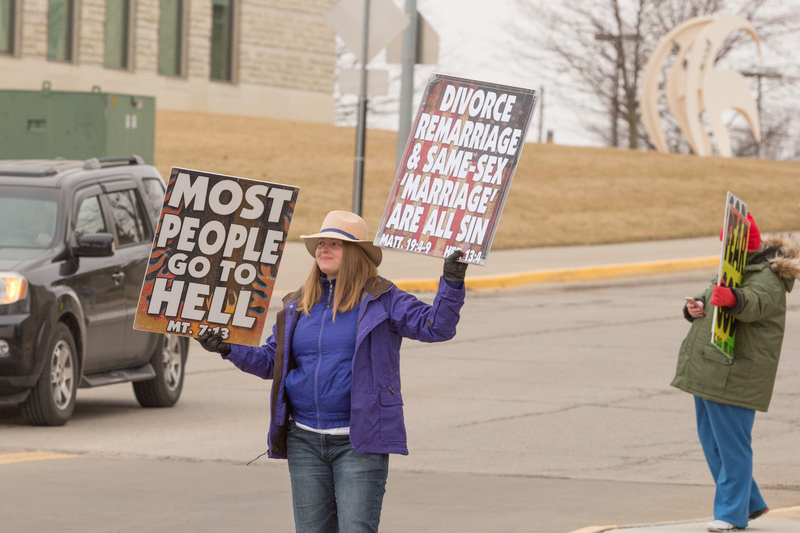 The views of Westboro Baptist Church should not be considered those of the University of Central Missouri. 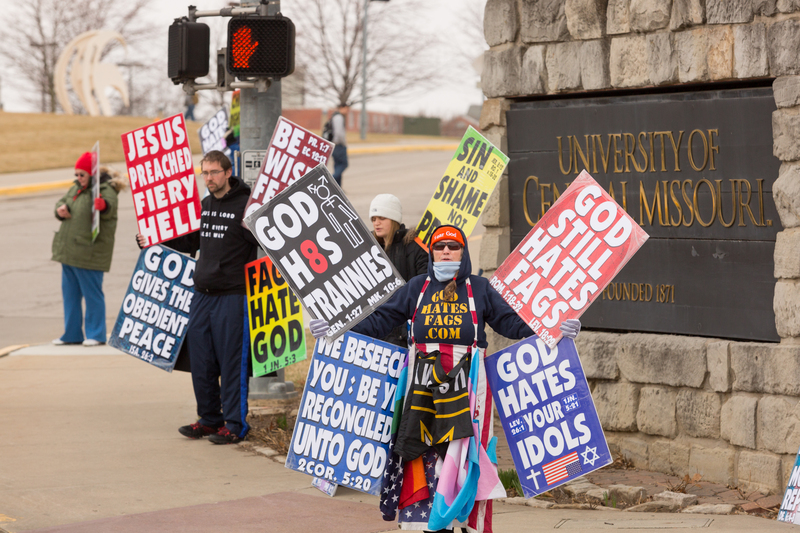 UCM, however, supports freedom of speech, and ask campus members to seek out positive, productive, non-violent ways to express differing points of view. 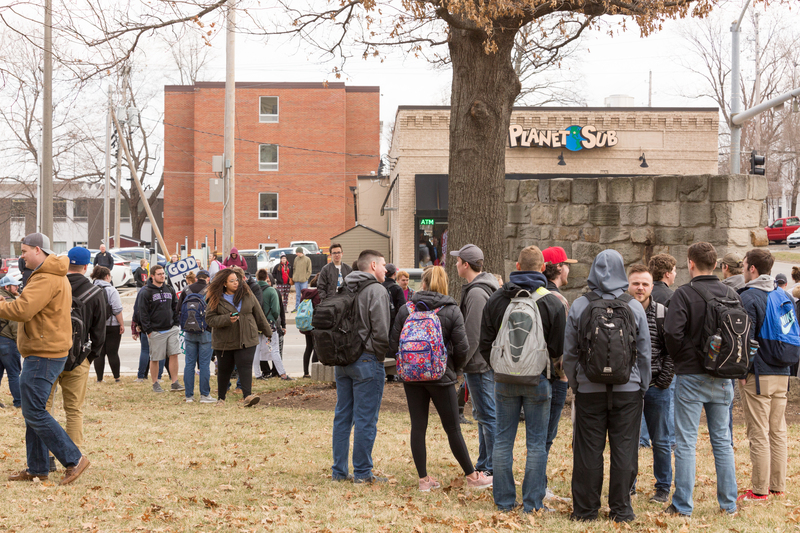 Students, faculty and staff also are encouraged to reflect on their own values when confronted with divisive rhetoric that is not conducive to the friendly, welcoming campus environment that so many members of the UCM family enjoy. 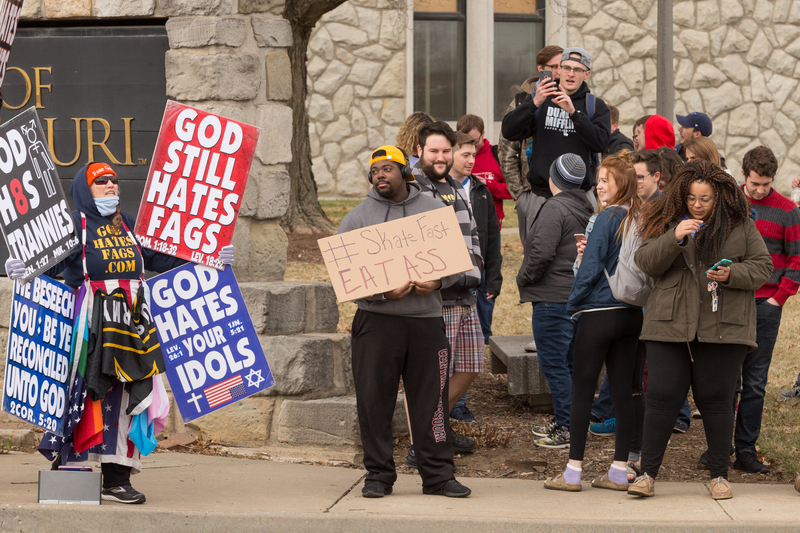 The tiny demonstration drew a considerable police presence (University of Central Missouri and Warrensburg), a number of counter protesters, and a few curious bystanders. 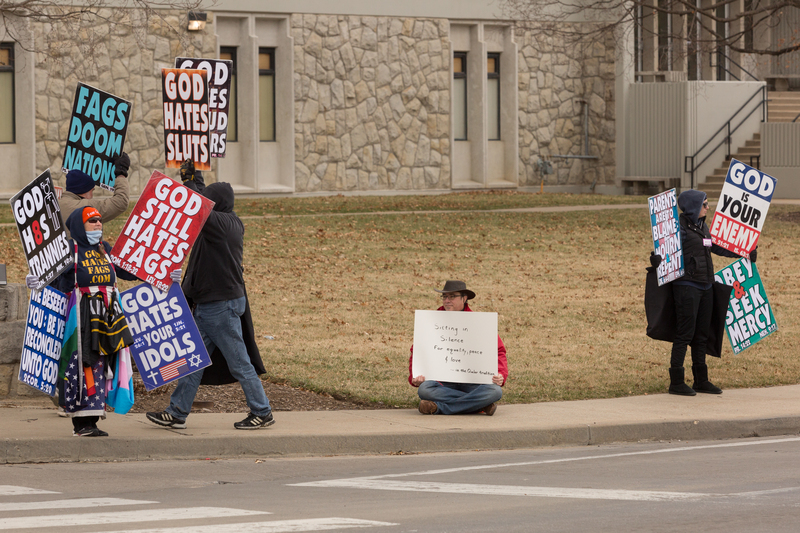 A few individuals tried to engage some of the Westboro individuals in conversational debate.